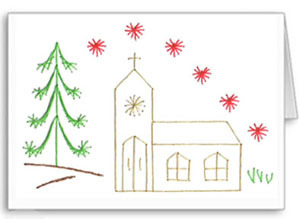 A festive stitching card pattern that has been stitched in gold, red and green. This card would also be suitable for a Christening or Wedding if stitched in different colours. The pricking pattern comes with easy to follow step-by-step instructions and colour diagram.